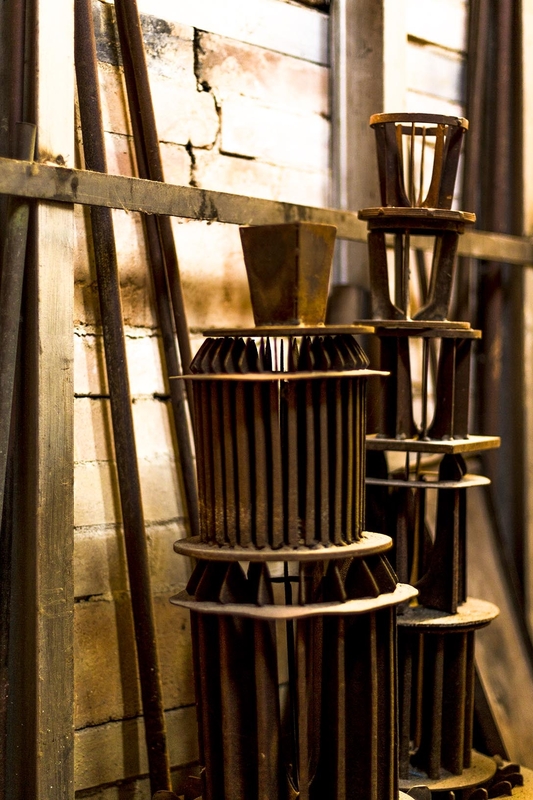 Inside the Murano furnaces, the tools that the glass masters use on their scagni (the glass-master's workbenches) to manipulate the incandescent matter have remained unchanged for centuries. 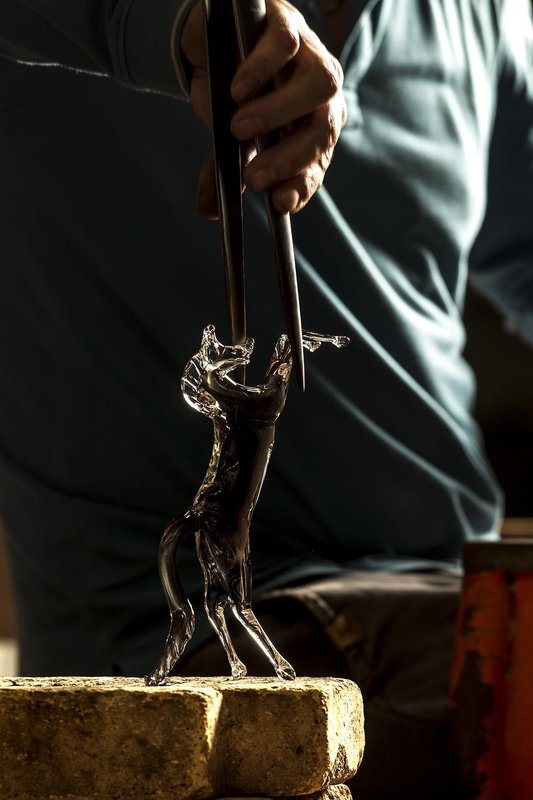 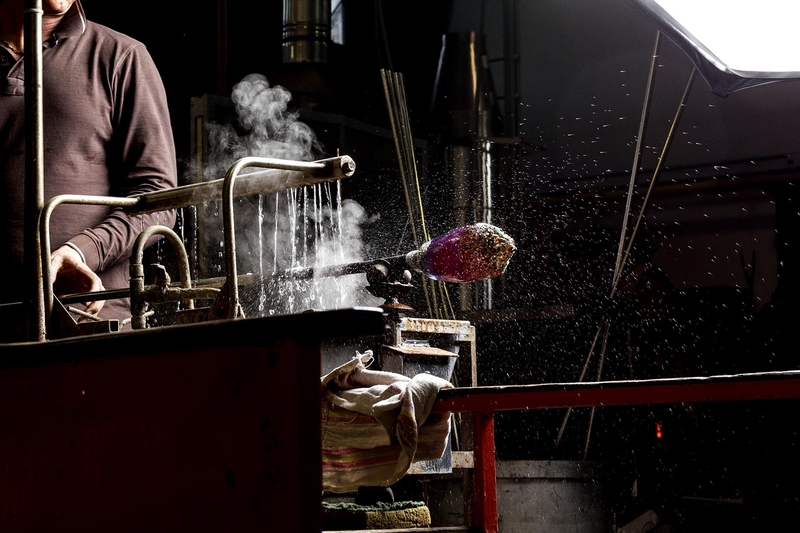 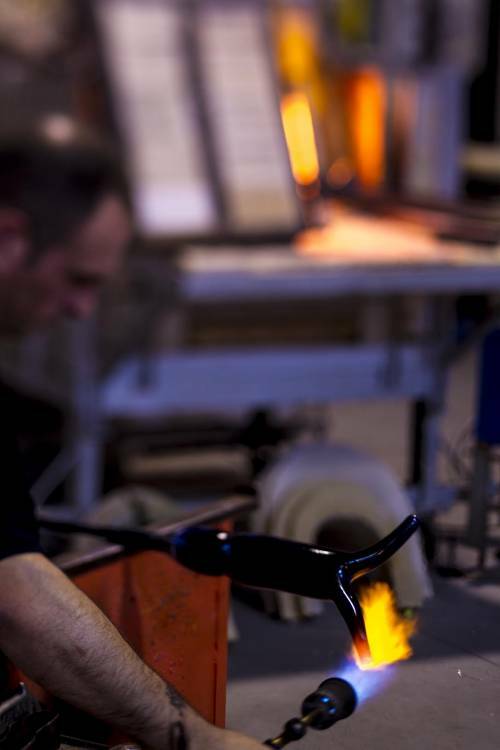 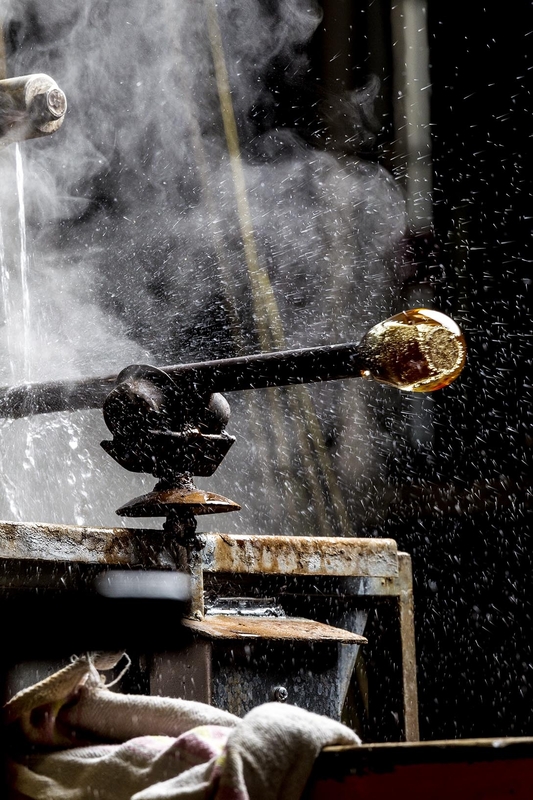 The canna da soffio (blowing pipe), also called the ferro sbuso, is the main tool in working the glass: it is a metal tube that is about a meter and a half long with which a quantity of molten glass, the bolus (bubble), is gathered from the crucible and is blown moulding it on a metal plate called the bronzino to form a hollow sphere from which the desired object is obtained. 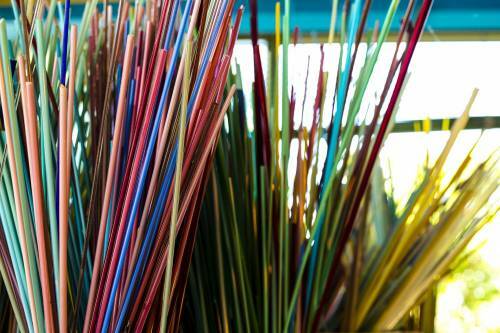 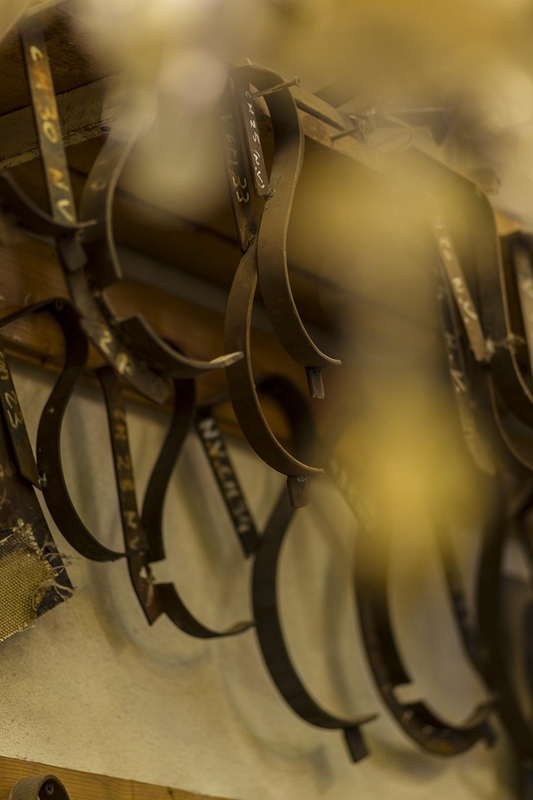 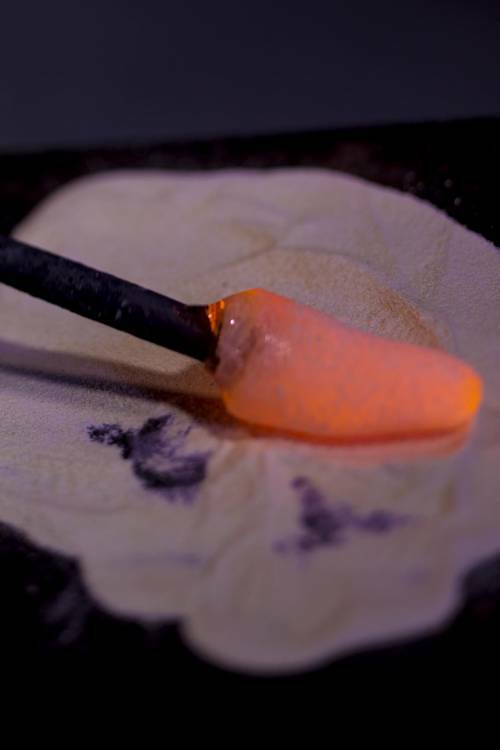 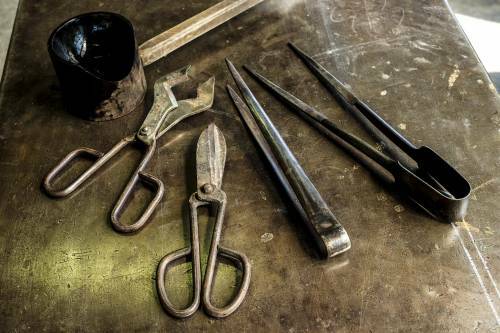 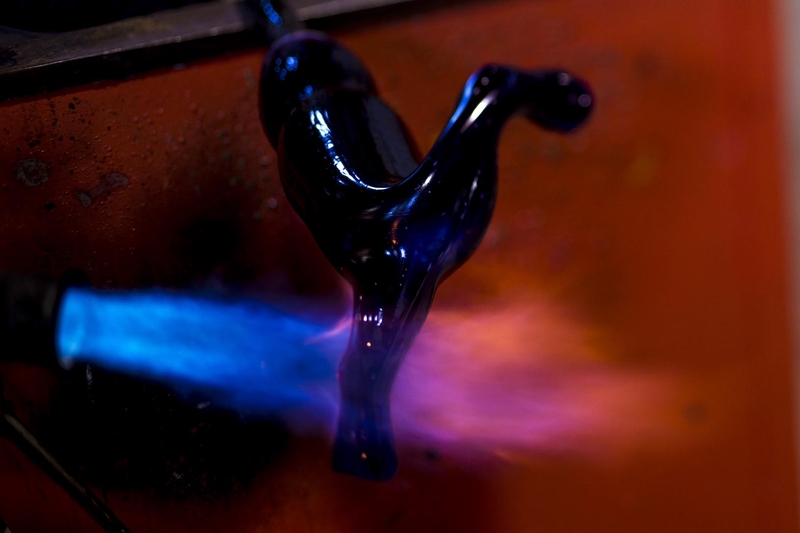 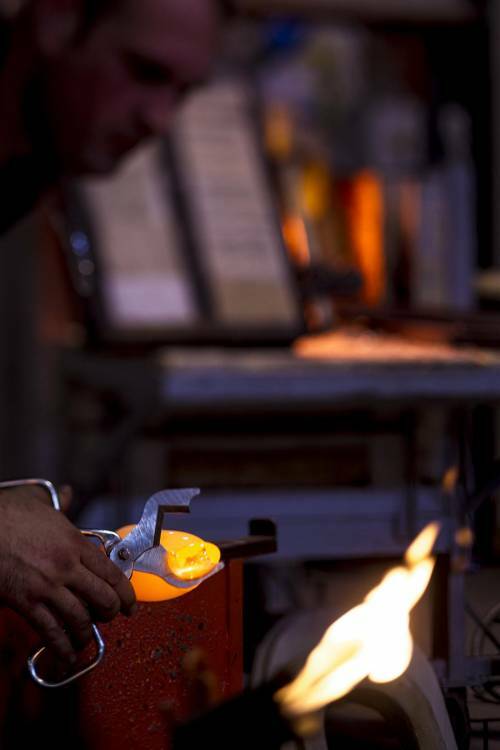 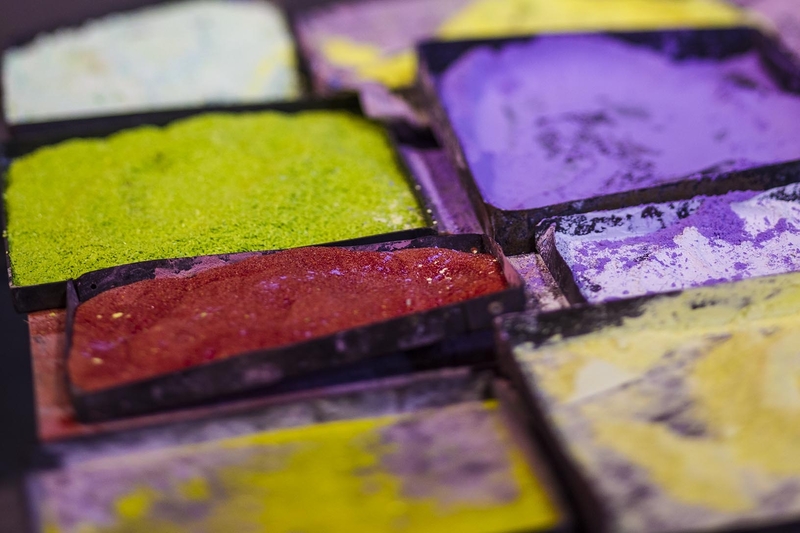 Equally crucial is the borsella, tongs or pliers used to hand-form the red-hot glass that has different shapes depending on its function and moulding. No less indispensable is the tagiante (large glass-cutting clippers), a kind of scissors used to cut the glass during the initial working stages, and the pontello (an iron rod to which the craftsman attaches the object after blowing in order to add final touches), that makes it possible to hold and work the object while it is still hot.